Some years back, when I first started writing this blog, I went strong for a year, and then felt a need for a rest. I was writing a book, doing science, raising an infant, all things that took time. So I declared that that was the end of Season 1. After a hiatus I was back. As I remember it, Season 2 was written mostly on weekend afternoons during the times that Lilah napped. But naps don’t last forever, and Season 2 ended when those naps did. As my book was just coming out I took a sabbatical from academic work -- thus the start of Season 3 -- and wrote more, travelled around more, gave more talks, and became generally exhausted. I was thrilled when my sabbatical was over and I could return to science. There was a brief foray into Season 4 more than a year ago, but my heart wasn’t in it. And Lilah definitely no longer napped. But, out of no where, there is a Season 5. First, while Lilah no longer naps, she is instead likely to be out running around the neighborhood with friends or reading a book or chasing the cats or swimming or drawing or anything else a seven year old does. The naps have returned, though. They just tend to be mine. But it’s not just a matter of having time, it’s a matter of having something to say. In the long period from the end of the sabbatical until now I have been working hard on the thing that I actually do the best: astronomy. And when that happens, I learn exciting things, and I want to talk about them. So here I am. In this Season – and don’t ask me to predict how long it will last – I will be writing about my new hobby – studying Jupiter’s moon Europa – as well as about dwarf planets, the formation of the solar system, and, likely, pig roasts, bike rides with Lilah, and whatever else comes up. If I had my way we would never have to talk about planetary definitions again, but I fear that topic may even come up again now and then. How nice to have you back! So glad for the updates. This blog is written about as often as I write in my journal. Loved your book! Wonderful to have you back! I have been wondering whatever happened to you and I am very much looking forward to the new season of blog posts! I cheered to see you back in the typing seat! As for the naps now being yours, maybe you haven't heard this one: "the difference between children and adults is that adults like naps!" (Or at least that's what they told me, though I may have been asleep at the time.) Anyway...I'm looking forward to the new season. Be well! Forget about naps, I am interested in the discovery of two moons around Pluto; why does such a small world have so much company? Anybody have any thoughts about the Presidential directive regarding landing astronauts onto an asteroid (which one?) by 2025 and for astronauts to land on and explore Mars by 2030 or so? What about mining asteroids, should we exploit the Solar System's natural resources or just explore them? Do you think it is unethical to collect extraterrestrial life, dissect it, experiment on it etc., or should we only study it in its own environment without causing harm to it? Remember, extraterrestrial life can be intelligent creatures; where do we draw the line? Good to see you back! Did you see Louis Strigari & co with their paper suggesting ~10^5 Pluto-sized objects per star out between the stars? Welcome back, Mike. Nice to meet you again! **RELIEVED SIGH** It's nice to have you back to blogging! It's fun to follow your thoughts and activities on Twitter, but you can only survive on snacks for so long. Good luck and I am looking forward to what you have to say here. YES!!! I just got on today to see if maybe, fingers crossed, you had come back. And you did! This Friday just got so much better. Wonderful to have you back amongst us normal people :), I know all about the naps bot being naps with my soon to be 4 year old, and with a new one on the way in August. 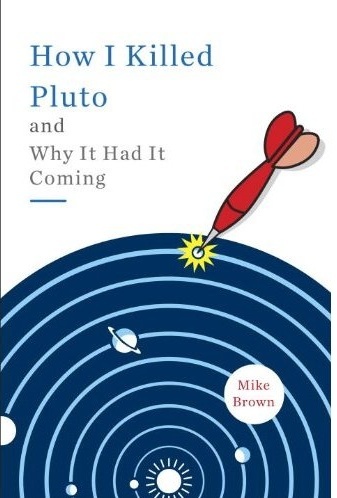 I love reading your work its impressive and insightful to people like me with general interest in space especially dwarf planets and the other planetary moons.